Derrick recently received his Bachelor of Music with a Piano Performance major at the Lawrence University Conservatory of Music, where he studied with Anthony Padilla. His senior year, Derrick placed first in the Wisconsin state division of MTNA Young Artist as well as the Lawrence Symphony Orchestra Concerto Competition. Recipient of an Accompanying Fellowship at Lawrence, Derrick served as rehearsal and orchestral pianist for opera productions during for two years. In the Summer of 2016, he was awarded a vocal coaching internship at the Oberlin in Italy program in Arezzo, Tuscany, and performed to great acclaim at the Vianden International Music Festival in Luxembourg. 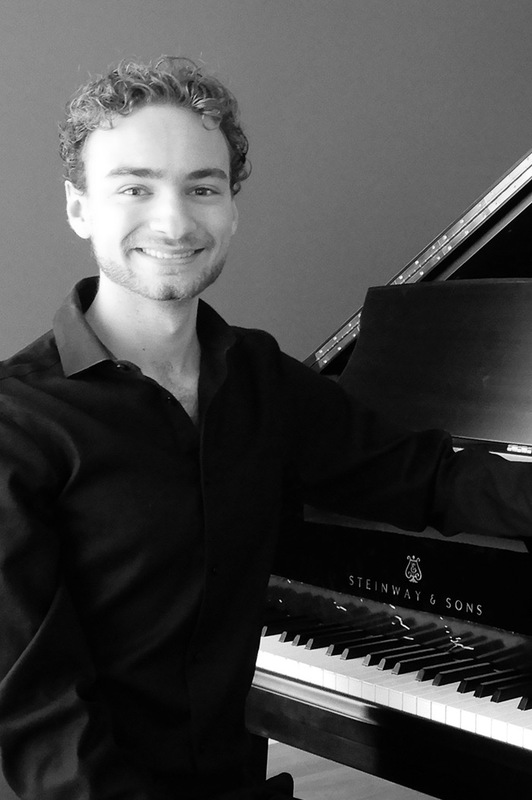 Derrick compliments each of his piano lessons by including the world-renown Taubman and Alexander Techniques, creating a challenging yet holistic environment where each student can achieve their greatest sound through the least amount of effort. The knowledge he offers in these approaches not only provides valuable skills in playing the piano, but allows each of his students the opportunity to see the world with heightened awareness, helping them develop the sensitivity and maturity needed to play the music written by the greatest composers that ever lived.